Our local DVD rental shop charges $1 per movie every Tuesday, I've got a 6 year old with very specific requests and a two year old that is happy to go along with anything, most times we visit we leave with at least 10 movies. We go through phases of hiring, it could either be summer with the air conditioning pumping or I've got sick kids. Summer here is horrendous or I think so, It may only be 32 degrees but the humidity gets up in the mid to high 90's! 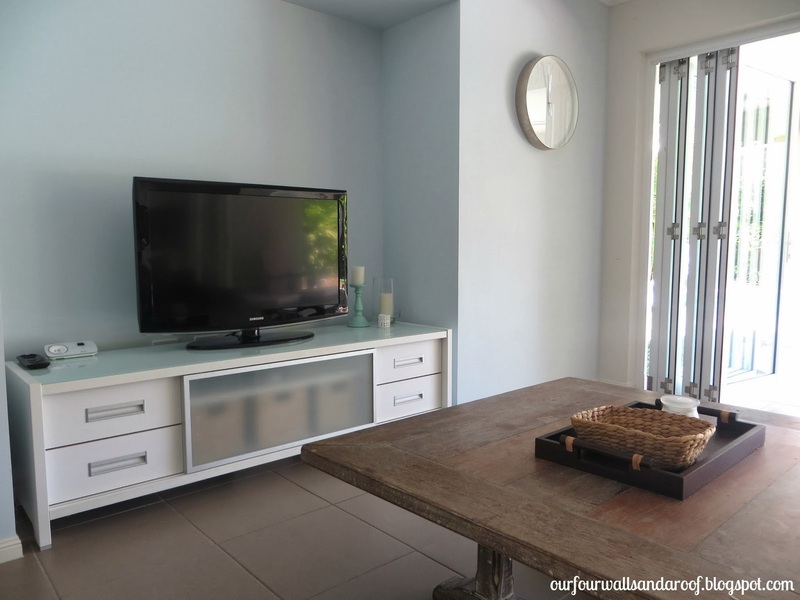 It's also the wet season, it can rain for weeks therefore DVDs on the couch are perfect for summer! We've had a few DVDs go missing, they've never had a "home" as such and would either sit on the TV cabinet or dining table. This time around I gave them a home, a basket. I store this in my TV cabinet but my daughter likes to lay it on the top of the cabinet for easy access, she has not misplaced one since. That means a happy mummy for not having to look for the lost DVD or pay the late fee because it took us days to find it. Yes, I have a huge Batman fan in the house. Here are the baskets in the cabinet. 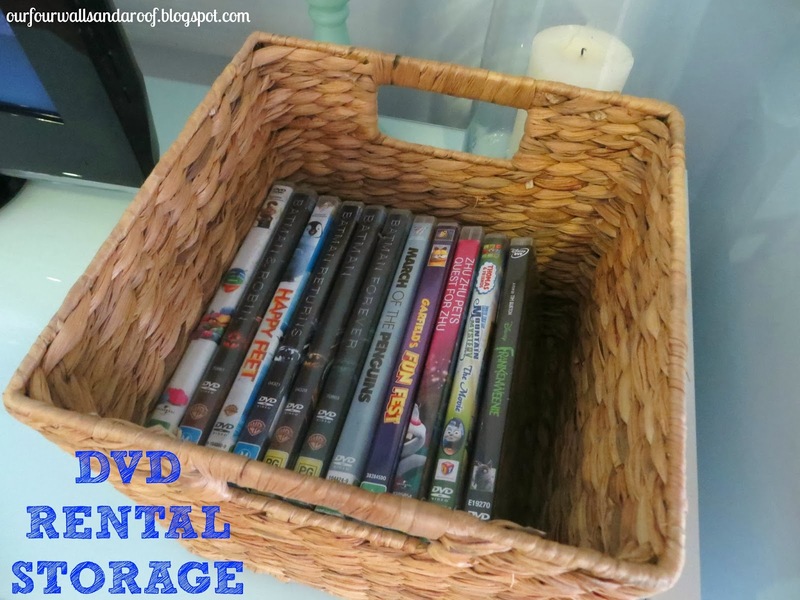 My tip for Thursday, if you regularly hire DVDs then organise a storage space for them.